Construction of the 136-km pipeline to carry diesel from Siliguri in West Bengal to Parbatipur in Dinajpur district of North Bangladesh, will soon begin. The 6-km Indian leg of the 1 million tonne capacity pipeline will be financed by the Assam-based Numaligarh Refinery (NRL), a BPCL subsidiary. 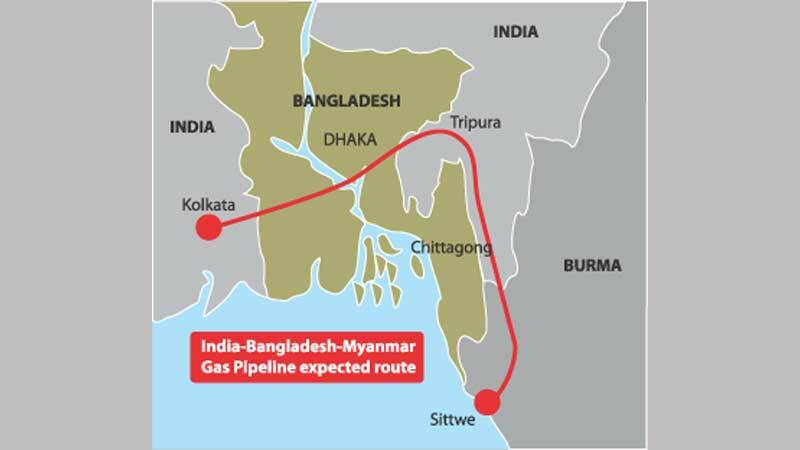 The remaining 130 km of the pipeline will be in Bangladesh and is financed through India’s ongoing development cooperation programme. The total cost of the pipeline is pegged at ₹360 crore. The pipeline is scheduled to be completed in 27 months. The project will replace the existing practice of sending diesel by rail, covering a distance of 510 km. India started sending Euro-III diesel produced by NRL to Bangladesh under a long-term deal in March 2016. Currently, NRL sends approximately four rake loads (10,000 to 12,000 kilo litre) of diesel every month for distribution in North Bangladeshi districts. The deal offers synergy to NRL’s operation as the company sells its products mostly in North Bengal and parts of North Bihar in the absence of adequate demand in the North-Eastern States. One of the largest (3 million tonne capacity) among NE refineries, NRL is also keen to leverage its locational advantage for export of petroleum products to northern parts of Myanmar, which is now catered all the way from coastal Myanmar. NRL supplied paraffin wax and diesel via land route to Myanmar for some time but the trade is now suspended by the Myanmarese partner Parami Energy due to high cost of transportation. To make the trade sustainable, NRL has to create pipeline infra up to Moreh-Tamu border in Manipur and the requisite facilities in Myanmar. While this looks feasible, the company is hamstrung by crude shortage. North-East barely produces 1 million tonne crude, which is insufficient to run three refineries. NRL is currently supplied crude from Barauni, but the pipeline capacity constraint forces it to run at 2.8 mt. For sustainability, the company wants a crude pipeline from Paradip Port that will help it expand capacities to nine million tonne, which is adequate to tap the emerging demands in Bangladesh and Myanmar.